eEuroparts.com® carries an extensive catalog of aftermarket, OEM, original, and genuine parts from over 200 manufacturers. We are also constantly updating our Febi parts selection to give you the best possible selection of parts. Febi, part of the larger European Conglomerate of Ferdinand Bilstein GmbH + Co. KG, has been renowned for "Made in Germany" quality over their 160 years in business. Based in Ennepetal, Germany, Febi is a worldwide powerhouse supplier of high quality aftermarket replacement parts for nearly all European cars, as well as car makes sold and manufactured outside of Europe. Febi's catalog extends to more than 30,000 spare parts, specializing in the manufacturing of precision quality rubber/polymer and metal parts. Steering, Suspension, Driveline, and Engine/Transmission is Febi's specialty. With the years of manufacturing expertise, their ability to make these parts at a cost effective price-point is key to their success. When you have a red Febi box show up at your house, you know you are getting OES quality at a fraction of the price, and eEuroparts.com is proud to offer hundreds of Febi parts, making sure to have a range of Febi products for every application we support. 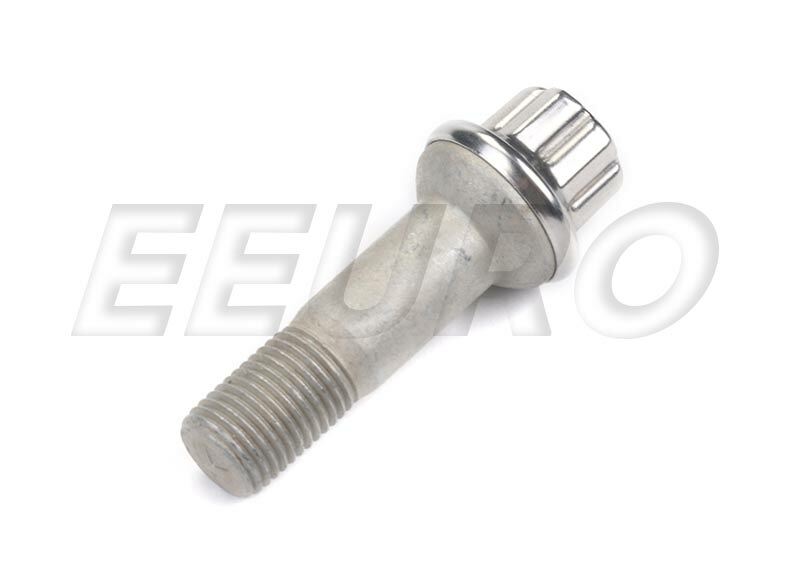 If this is not the exact Wheel Bolt (M14x1.5x68mm) you are looking for, or you would like this part in a brand other than Febi, please contact us and one of our customer service experts will help you locate the exact part you need. eEuroparts.com® proudly offers wholesale prices and fast shipping available on most orders. We also provide inexpensive and guaranteed 3 day, 2 day, and Overnight shipping options, so if you need your Wheel Bolt (M14x1.5x68mm) tomorrow, eEuroparts.com® can deliver! Every eEuroparts.com® order is track-able, meaning you'll know exactly where your Wheel Bolt (M14x1.5x68mm) is at every step of the shipping process. eEuroparts.com® also displays your Expected Ship Date and transit time in your Cart, making our entire shipping process simple and transparent.